Click on the Project Titles to view the poster! Lucy Birch - Increasing access to psychological therapies for older people by reducing waiting times. 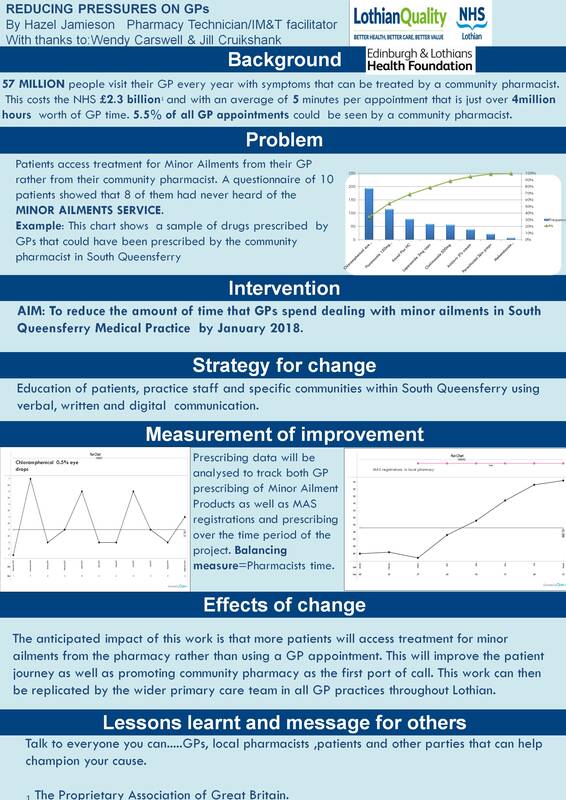 Douglas McCabe - Improving the prescribing of oxygen on a respiratory ward. 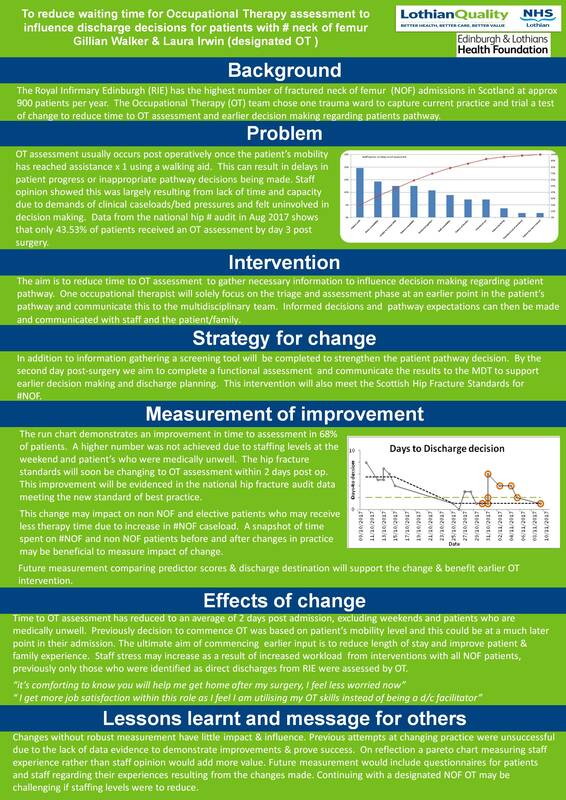 Fiona Stewart - Improving the journey of the patient with a fractured neck of femur. 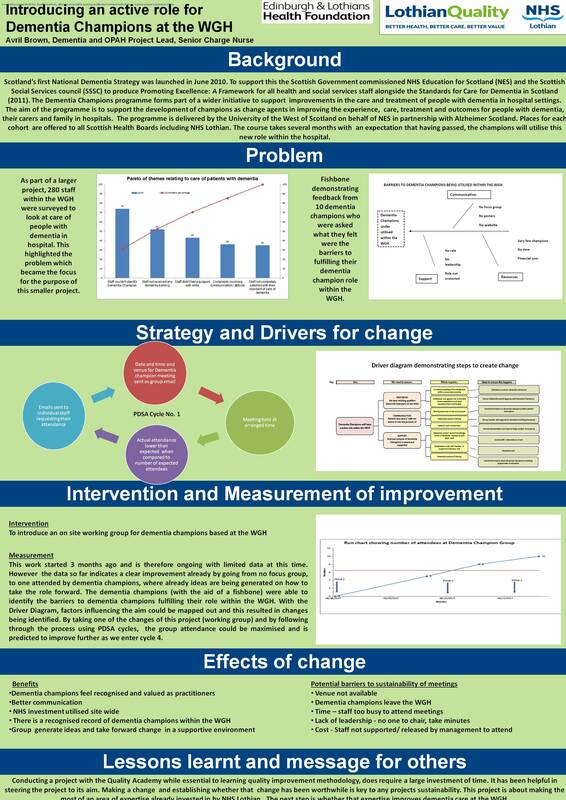 Nicola Gillespie - Increasing access to Neuropsychological therapies across Lothian for individuals with Huntington`s Disease and their families. Emma Williams - Increasing Access to Psychological Assessment and Therapy within a Community Neuro-Rehabilitation Service in West Lothian.